Disney Infinity: Toy Box 3.0 - Star Wars™: The Force Awakens™ has arrived. Play as Rey, Finn, Kylo Ren and Poe Dameron in Disney Infinity: Toy Box 3.0. Visit the store in the app to find out more. - NEW CHARACTERS - Toy Box 3.0 now welcomes Star Wars™ to the ever-growing collection of MARVEL, Disney and Disney•Pixar characters – including those from Toy Box 1.0 and 2.0! Put your imagination to play with over 80 characters to choose from! Play in new Daily Challenges, a mini Play With Friends - Connect online to play and build Toy Boxes together! Access your Toy Boxes from your Android device, PC, and console. Continue right where you left off on any platform when logged into your Disney Account. 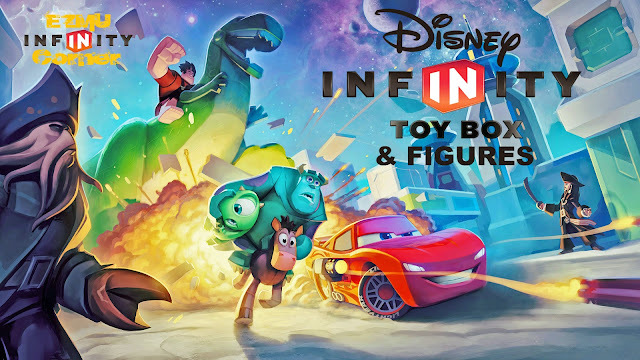 Disney Infinity: Toy Box 3.0 for Android is compatible with select phones and tablets running Android Version 4.4 and higher, with xhdpi or higher resolution.